Sorry I haven’t been keeping up with my weekly reminders to about the latest Dollar General Coupons, sales and deals. Just so much to keep up with..if only I could teach Daisy to use the computer, I’d have an blogging assistant! Anyway, I just wanted to let you know that there are frequent printable coupons for $5 and even $10 Off, plus great deals on pet treats, kitty litter, cleaning supplies and more! So if you’ve got a Dollar General near you, I suggest you signup here and get all the newest deals, coupons and discounts via email! 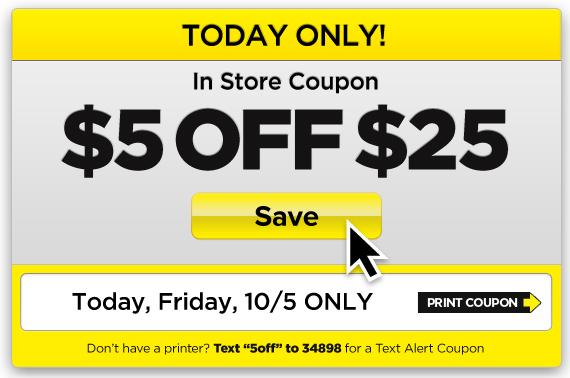 $5 Off Dollar General Printable Coupon Valid 10/26-27 Only! Unlike most weeks where the Dollar General coupon is valid for 1 day only, this week’s coupon is good for both Today and Tomorrow…giving you an extra day to stop in and stock up on candy, decorations and supplies for Halloween or whatever you need for pets and people! Be sure to check the Dollar General store ad to see what’s on sale! 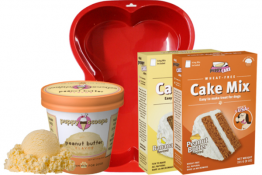 Print your $5 Dollar General Printable Coupon here! If you have time today, be sure to snag some extra savings with this $5 OFF $25 printable coupon for Dollar General! 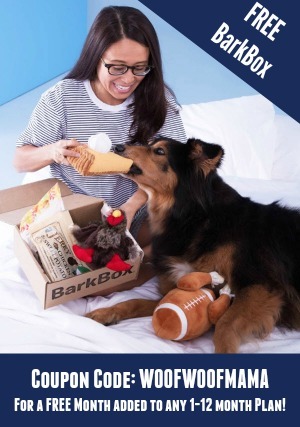 In addition to sales on cleaning and household items, they also have deals and store coupons for pet food and treats including Friskies, Pedigree, Mighty Dog and more! Check out all the details in this week’s Dollar General Sale and Coupon Center! Dollar General Printable Coupon $5 OFF + FREE 1-Year Savings Club ($30 value)! 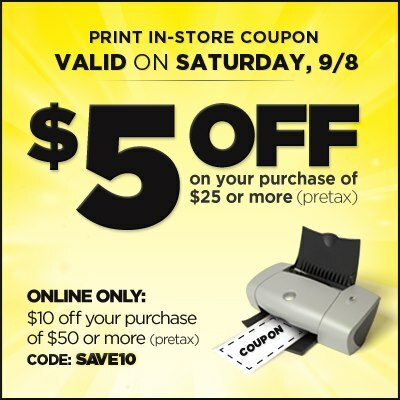 There is a new Dollar General printable coupon valid for $5 Off a $25 in-store purchase today only, Saturday Sept. 8th. Just a reminder that you can stack this DG coupon with manufacturer’s coupons for bigger savings. Also, the $25 minimum purchase is before the mfr coupons are applied, so be sure to put the store coupon on top if you have a big stack of coupons, so they ring it first! I saw this tip from a fan on their Facebook page who said they had to re-ring her whole order because she didn’t know this. Plan you trip by first checking out this week’s Dollar General Sale Ad here and then printing out corresponding manufacturer’s coupons here before heading out to the store today! There are still great savings on back-to-school supplies as well as new deals for tailgating! 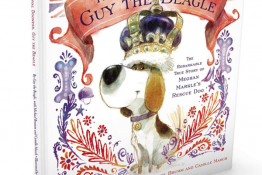 Plus, you’ll almost always find a good pet deal or two on treats, toys or food! 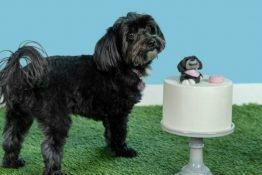 And don’t forget that the Coupons.com Savings Club is celebrating their birthday by giving you a FREE 1-year Membership ($30 value). 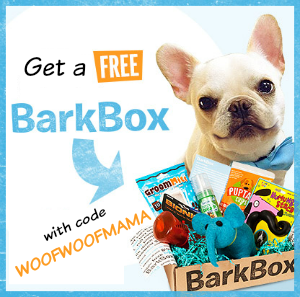 You get access to member-only coupons, and higher-value coupons plus coupon tools available only to club members! 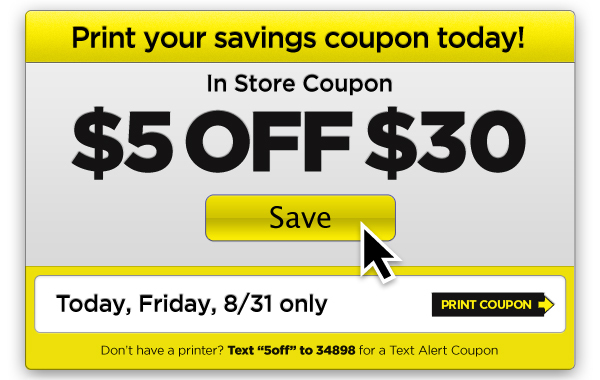 There’s a new Dollar General Printable Coupon valid for $5 OFF in-store use today 8/31 ONLY! If you have time to stop by you can stock up and save on sale items including Purina Dog Food, Tidy Cat Litter, Swiffer, Febreze, Tide and lots more! Before you head out, check the Sale Ad here for all the details, then head on over to Coupons.com to collect Printable Grocery, Cleaning and Pet Coupons on items you need, to make your own Sale Match Ups for extra savings!